We are working towards a region, province and country without FASD, and the first step in that is education so we can empower people to make the right choice. We believe that treating FASD means engaging and educating everybody in a child’s and mother’s support network. The LCFASD works together with everyone to help them understand an individual’s needs and to be a source of support to them throughout their lives. You can learn more about FASD at our resource centre. Most of us have heard the message, “It is safest not to drink during pregnancy,” but Fetal Alcohol Spectrum Disorder can be a hard thing to actually talk about. It’s preventable, but the issue is complicated and we all have a role to play in contributing to a healthy pregnancy experience and FASD prevention. There is still so much misunderstanding about what FASD means, how it happens and also who is responsible for preventing it. An unplanned pregnancy or lack of information about the impact of alcohol on an unborn baby can mean that an expectant woman can unknowingly put the fetus at risk by drinking. Women who continue to drink after learning they are pregnant are sending us a signal that they are seeking help of some kind—and that can be the result of peer pressure, family troubles, addiction and mental health concerns. The FASD Prevention Conversation is a new approach. It focuses on the power of relationship and conversation to inspire change and invite open, honest dialogue. Reducing anxiety and providing practical strategies for talking with women about the use of alcohol during pregnancy is key. We welcome the opportunity to come and speak with your group about how to engage in effective, respectful conversations with women about alcohol and pregnancy. Good information and a healthy support system can make a big difference. We don’t know how much drinking will hurt an unborn baby, but it’s safest to not have anything at all to drink if you are going to have a baby or if you are planning to have a baby. The Mothers-to-be Mentorship Program is a free, non-judgemental, 100% voluntary, one-on-one support program that assists women to have and raise healthy babies. 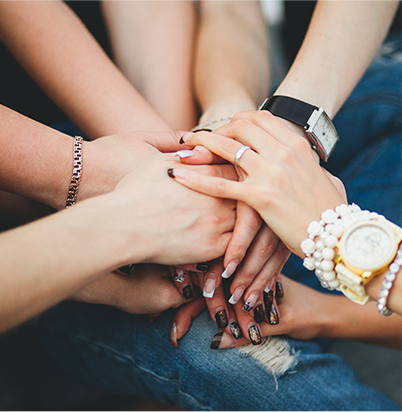 We know that the women who come to the program are dealing with various situations, so that women will never be asked to leave the program due to a setback or relapse. The program is for women who are pregnant, are planning to become pregnant or who have recently given birth and are dealing with alcohol and/or drug use and want to make a real, positive change for their future. Mentors have the flexibility to do whatever it takes to help the people in their care. This can involve finding alcohol and drug treatment, connecting mothers to community resources and stabilizing their lives by connecting to community resources that can provide clothing, shelter and healthcare. The Lakeland Centre for FASD has been providing diagnostic/assessment services for both children and adults since 2000 and training for new and developing FASD diagnostic/assessment teams since 2002. We help a broad range of groups access training services. In July 2011, we were contracted by the Cross Ministries Committee on FASD to deliver and facilitate a continuum of training, resources and supports for Alberta FASD Assessment & Diagnostic Clinics and their team members. A dedicated Training Coordinator is available to deliver annual clinician training and targeted training upon request, provide clinic support and answer questions, to build provincial relationships, develop assessment & diagnostic related resources and host an annual Clinic Coordinator meeting.